The gunners are currently in Sweden to play against their Europa League opponents Ostersunds in the first leg of the round of 32. The match will be beginning in a few minutes away from now and the players are going to be playing in the freezing pitch. of Ostersunds because they currently have cold temperatures in these times of the years. 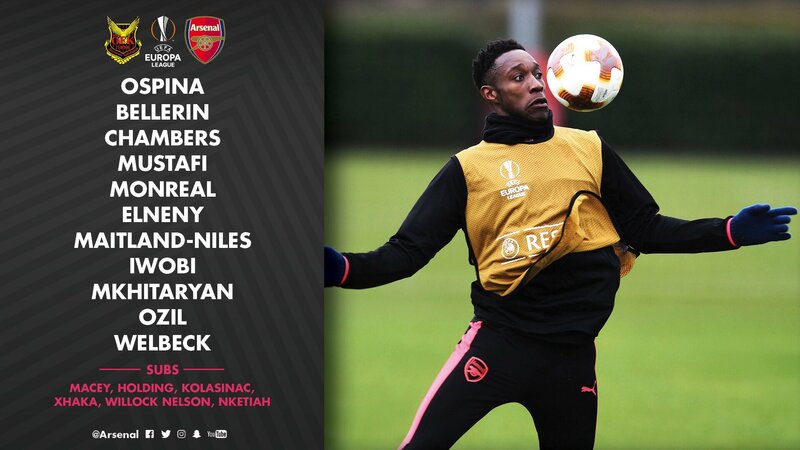 OSTERSUNDS VS ARSENAL MATCH DETAILS. This will be the first leg and the 2nd leg will be taking on a weekafter.